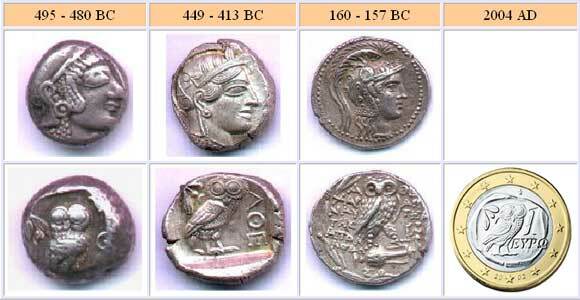 Ancient Greek coins have a variety of attributes that enable differentiation between the currencies of individual poleis. 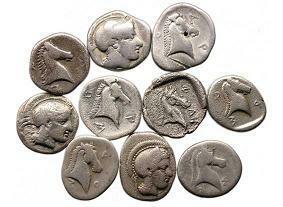 Each polis independently designed and created its own coins, with symbols that were representative of the deities and heroes important to that particular government. This theme supersedes all of the other trends in Greek coin making throughout the centuries. Greek coin denominations are determined by weight. Gold coins were measured in terms of the stater, which could be divided into smaller denominations. 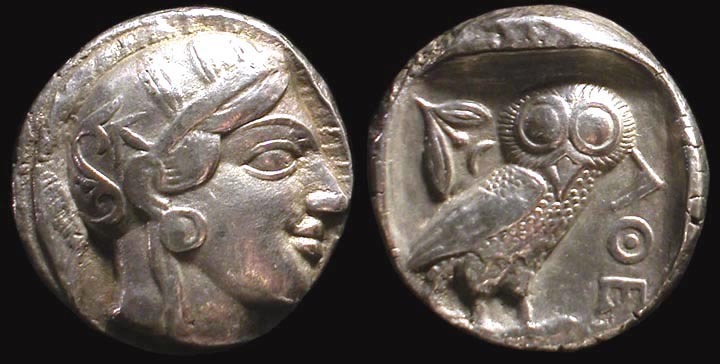 Silver coins were measured in terms of the drachm, which could be either divided into smaller denominations or multiplied into larger denominations. 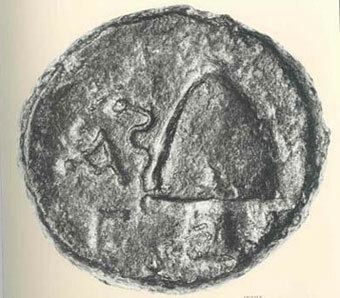 Bronze coins were measured in terms of the litra. 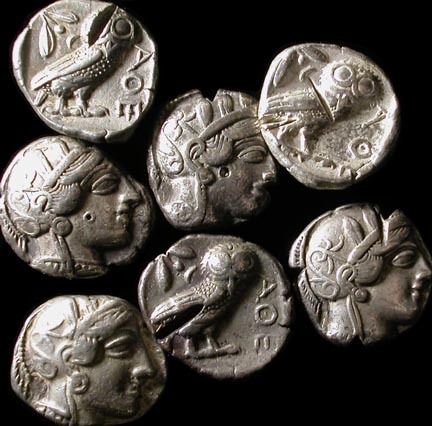 Despite the standardization in the assignment of names to the units of measurement, however, each polis defined the units of measurement differently, such that how much a stater, drachm or litra weighed in one polis did not necessarily correlate to the weights for the same units of measurement in other poleis. 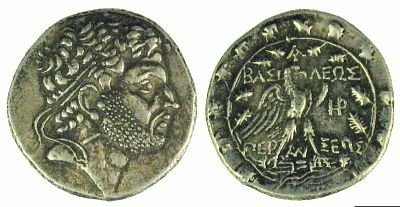 Thus, what sufficed as a drachm in one polis may have been too light or too heavy to be used as a drachm in another polis.